Eleven-year-old Rasha lives in a camp for displaced people in northern Iraq with her family. They are originally from Mosul but fled the city when Rasha’s uncle was killed and the fighting between the Islamic State group (IS) and the Iraqi forces became too intense. After they arrived in the camp, Rasha was constantly scared as a result of the traumatic events she had witnessed in Mosul. Rasha received support from Médecins Sans Frontières / Doctors Without Borders (MSF) psychologists to manage and overcome her fear. 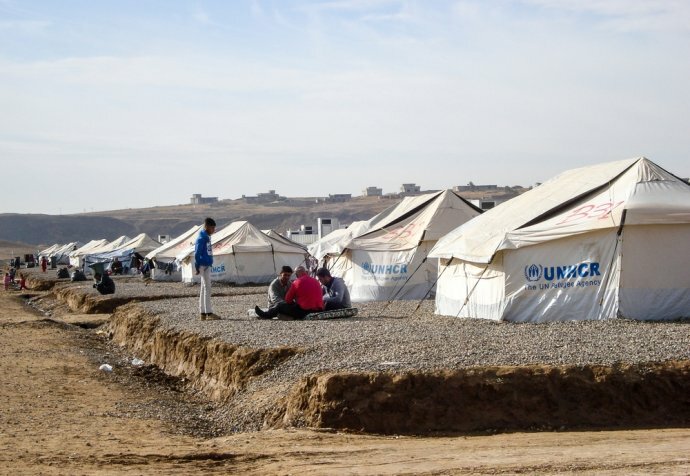 In the camps for internally displaced people close to Mosul and Erbil, MSF works in six locations providing mental healthcare and treatment for non-communicable diseases, such as diabetes. The mental health services include psychological and psychiatric consultations, group therapy, psychosocial counselling and child therapy.